38 Renaissance, 22 Islamic, 13 Ukiyo-e, -39 Cubist, -44 Abstract and 6 Impressionist! Today being Halloween I have decided not to attempt to cover much in class. Whenever I plan to cover a certain amount of material but don't manage to do so I get a little irritated. Rather than all but guarantee an irritation, I chose the more prudent path of opting just to entertain students today. Yesterday in my first class two of the students made the claim that I would be unable to tell the difference between "Dr Pop" and Dr Pepper. I insisted I would know the difference. This morning they brough in a can of each to conduct their little test. They presented me with two cups and asked me which one contained Dr Pepper. Just from looking at them I could tell; one had too much fiz yet for Dr Pepper. Knowing they wouldn't accept this claim, I smelled each drink and pointed out the Dr Pepper. Not satisfied - and after trying to convince me I was wrong - they insisted I take a sip of each. First, I had sipped the Dr Pepper; I was right. Second, I sipped the Dr Pop; it was absolutely revolting. It tasted more like grape soda than it did Dr Pepper. I'm happy to say that I was vindicated in my love of Dr Pepper. Bethany has a powerful reflection at Vinum Novum. Fr. V. at Adam's Ale has an excellent observation about the two "sides" on the "life" issue. On a much happier, if you think young men aren't listening to the Lord, go read what Craig has to say over at Argyle socs 'n mocs. Perhaps one of the most difficult moments for a teacher comes when he cannot express clearly to his students the lesson he wants to teach. Such was my experience today. The expected engagement with the students did not go quite as expected. They did not stick to the offensive; I think my disappointment in their efforts - at least as I perceived them - took them a bit off guard. It seems my expectations were rather high, and unfairly so. It seems one of my classes sincerely did not understand the reading on which they were to base their reflection paper. Even after I walked through the reading with them I'm still not certain the message was received and comprehended fully. This troubles me greatly. I want nothing more than to communicate the truths of the faith to them, but it seems I currently lack the proper words. The reasons for this are manifold. The reading was simply "above their heads." This is not, of course, an insult on their intelligence, but a reflection of a poor choice of readings on my part. Just because I understand the reading without any difficult, I cannot presume that others will, too. Today I am reminded all too clearly of what I only recently became aware. All through high school and college I was always one of the first students to complete a test, in whatever subject, with the possible exception of math (I still don't like math). Never wanting to be one of the first finished, I always doublechecked my answers several times waiting for someone else to turn in their test first. I never did realize why I finished tests and other things more quickly than others. I always attributed it to a general laziness on the part of others, though I never had any basis for this judgment. One day in the seminary everything was made clearer for me. I was in another seminarian's room reading a paper over his shoulder as he read it sitting at his desk. I finished the page and waited, and waited, and waited. Finally, I said, "You can turn the page now; I'm finished with this side." The seminarian whipped around, looked up at me, and asked, "You're finished already?" "Yes," I answered. "Why?" He replied, "I'm only half-way through the page." It was then that I finally realized that I read faster than most people. At the same time I also have the uncanny knack to remember what I have read, mostly. In classes, I hear the lecture and basically absorb the material like a sponge. It may take some time to wring it out, but I often can. Most would see this as a great blessing and, indeed, it often is. But at other times it can prove a great burden. I have always found that, with young people, if you play at their level, as it were, you can lift them up to yours for discussions and teachings. I've always found this to be the case, but what do you do when you lift them too high and leave them frustrated, impatient and confounded? I seem to have done just this with one of my classes yesterday and today and it pains me greatly. I'm always trying to remember what I was like in high school, and when I do so I see cearly that my high school days were not like the high school days of today's youth. At the same time, I have to remember that when I was in high school I was not like my classmates. The circumstances of my life - especially of my childhood - forced me to mature faster than my peers. I found comfort and solace in books and learning, and this remains the same today. But now that I lifted my students beyond what seems to be their capabilities, how do I lower them back down to where they are comfortable and can learn? How do I so without insulting them or giving them the impression - which they unfortunately seem to already have - that I am better than them simply because I read faster and retain more? I've spent a good part of the day wrestling with this question and I've not yet found an answer. The planned post on St. Bonvaenture's writing will have to wait untl sometime tomorrow. In the meantime, please pray for me that I might find the answer that I seek. If you have noticed a lighter posting schedule these past few days, it is because I am still covering four classes each day at the high school. It is very enjoyable, but it does take a bit of time. It's your world, Father; I just live in it. If only I could get more people to think like that! Yesterday I gave the sophomores a writing assignment that they apparently did not at all like; I've already heard from quite a few of them about it. (I took yesterday off from teaching so as to at least have a partial day of rest this week.) The reading they had to write on apparently had too many words that they didn't understand on the first reading; a second reading apparently didn't occur to most of them. The first of the two sophomore classes will arrive in about five mintues. It's time for me to set up my defenses and prepare for the assault. I do, of course, have my own ammunition ready with which to fire back. I know we have dictionaries in this building somewhere... This should be fun! What will happen at the end of the earth? Everyone wants to know and some even claim to know. I think Saint Bonaventure might just be one person who does know. After considering the suffrages of the Church offered on behalf of the souls in Purgatory, Saint Bonaventure returns to the Last Judgment noting two events that will accompany the judgment: "the consuming of all worldly things, and the resurrection of the dead." Today we shall consider this consuming fire, and tomorrow we shall consider the resurrection of the dead. Fire will go before the Lord and Judge of all, he says, by which "the face of the earth shall be burned, and the world as we see it shall perish in the devouring conflagration of worldly things, as it did in the waters of the flood." This is to say that all animals and plants shall be consumed by the fire; the natural elements - dirt, minerals, air and such - "will be cleansed and renewed," and "the just will be purified and wicked suffer in flame." Once this is complete, Bonaventure says "the motion of the heavens shall cease" and "the bodies of the universe also shall, in a sense, be renewed and rewarded." Whereas previously the Seraphic Doctor founded his teachings in the Goodness of God, he now begins from the Wisdom of God. The Lord, "being supremely wise, observing as He does the order of wisdom in all His deeds, must necessarily and more particularly do so in all matters related to their end." In this way, by keeping the order of all things, the "wisdom, the goodness, and the loftiness" of God will be manifest. the world fittingly existed in a state of goodness and peace. But as man fell, this world also was damaged; and as he was disordered, it became disordered; and with his cleansing, it must be cleansed, with his renewal, renewed, and with his consummation, set at rest. fire must precede the face of the Judge, not only from one direction, but from all. There will be here a concourse of fires - first of the elements and of earth, of purgatory, and even of hell. Thus the reprobate shall be tormented by the infernal flames, the just cleansed by the purgatorial, animals and plants consumed by those of the earth, the elements refined by those of elemental fires; and, together with this, all other things shall be shaken, making not only men and demons but even angels tremble at the sight. I am reminded here of Psalm 97. Therefore, as in the beginning the world had been swept and cleansed in a way by the element of water, which is cold and thus opposed to the fire and filth of lust, so in the end it is to be swept and cleansed by fire because of the cooling of charity and the frigidity of malice and avarice which shall reign as in the world's old age. And because such vices adhere to man so strongly, the cleansing agent must be interior, strong, and swift; action found nowhere in the elements except in fire. This fire must also come to renew the earth because "a thing cannot be recast into a new form unless is has lost the old, and is, in a certain way, prepared through receiving a new disposition." Fire, having as it does the greatest power to destroy a form also cleanses and renovates. Of this "twin power, one aspect precedes and the other follows the coming of the Judge." The renovation brought this fire will not be subject to change because it will be a true renovation. Concluding his teaching on the consuming fire, Bonaventure notes that the consummation of man will take place "when the number of the elect is completed in glory." Once this consummation occurs the movement of the heavenly bodies - the sun, moon, stars, etc. - must cease and "attain repose and the fullness of luminosity." because vegetative and sensitive beings do not have the virtue of perpetual life and eternal duration which is reserved to the higher state, their whole substance is consumed; yet they are in such a way that they are preserved as ideas; and in a certain manner they survive also in their image, man, who is akin to every species. Fido won't be joining you in heaven. Sorry. The Catholic Times, the official newspaper of the Diocese of Springfield in Illinois, has very kindly given me permission to publish Bishop Lucas' forthcoming column in which he discusses the upcoming election. All during the months leading up to this week’s election, Catholics have been offered tremendous opportunities to learn more about Catholic teaching, to understand the importance of internalizing that teaching and then of applying it to the important issues facing our society, and finally to hear about the importance of bringing a Catholic understanding to the polls on election day. In fact, some have already participated in early voting. For the rest, I offer what I hope will be a helpful summary for your last minute consideration. We look to the teachings of our Catholic faith to receive the blessing of God’s law communicated to us in our contemporary situation. The truth of these teachings is guarded by the Holy Spirit from one generation to the next. Catholics have the responsibility, as well as the privilege, of learning how to live in the world as God intends by studying the teachings of our faith. In other words, we form our consciences with sound teaching so that we can hold ourselves responsible for doing good and avoiding evil. The law of God for human society that is made explicit in the teachings of our faith is the same law that God writes on the heart of every person. This natural law can be known and understood by any person of good will who sincerely seeks the truth. Catholic citizens have the right and the responsibility to participate in political and social processes, including voting, through which we share the light of the gospel. We do not accept a false notion of the separation of church and state that is designed to keep people of faith out of the public square. While the church herself may not be partisan nor endorse candidates, we can and must speak up for the defense of God-given rights. Individual Catholics, with well-formed consciences, should do all they can to see that those rights are protected and that government power is exercised in the service of true justice. While voting is important, the communication with those who serve in government about the responsibility to safeguard human rights and dignity is something we must attend to all year long. The direct and intentional destruction of innocent human life violates the most basic of human rights and is always wrong. Examples of this evil are abortion and euthanasia. It is true that there are many issues that must be of concern to faithful Catholics. But the responsibility to protect the right to life of each human person from conception to natural death must hold primacy of place in our consciences. We are deceiving ourselves if we allow ourselves to trade this responsibility away for some other issue or issues. For example, Catholics are rightly concerned about issues of war and peace, and we follow the gospel imperative to work for peace. However, we cannot ourselves be credible instruments for peace, nor can we credibly call for our nation to be a force for peace in the world, if we do not hold our elected officials to take concrete steps to enlarge the protection in law of the basic right to life here at home. Catholics should approach participation in political and civic life armed with prayer and penance. We will never be equal to the sacred task of working for God’s plan for a just society until we are involved in a process of conversion ourselves. Therefore, I have asked that in every parish in this diocese, sometime in the several days before the election, all be invited to participate in some period of Eucharistic exposition and adoration. Let us pray together for the help of the Holy Spirit to act with a true conscience, as well as for God’s blessings on this country which we love. Further, I ask that every Catholic who is able participate in a voluntary day of fasting on Monday, November 3 – that is, to eat moderately at mealtime and to refrain from food between meals. I believe our prayer and penance at this time will be a pleasing offering to God in thanksgiving for the light of the gospel and in reparation for sins against the dignity of human life. We have asked Mary, the Immaculate Conception, to be the heavenly patroness of our nation, as she is also of our diocese. We know that she will pray for us now, if we request her prayers, and will help us know how to be true disciples of her son Jesus Christ. As the Nov. 4 election approaches, Bishop George J. Lucas has issued a two-part invitation to Catholics in the Catholic Diocese of Springfield in Illinois. In his weekly column in this week’s issue of the diocesan newpaper Catholic Times and in a letter to parish leaders, Bishop Lucas first asks that all parishioners in the diocese be invited to a time of eucharistic exposition and adoration in the days preceding the election. Bishop Lucas also calls for a pre-election day of penance. “Second, I invite every Catholic who is able to participate in a voluntary day of fasting on Monday, Nov. 3 — that is to eat moderately at mealtime and to refrain from food between meals,” he said. The role of the church, he wrote, is to help people of faith form their consciences through a study of the church’s teaching and an understanding of natural law, which is “explicit in the teachings of our faith,” though it can be known and understood by people of good will who sincerely seek the truth. “While the church herself may not be partisan nor endorse candidates, we can and must speak up for the defense of God-given rights,” he said. “We are deceiving ourselves if we allow ourselves to trade this responsibility away for some other issue or issues,” he said. “I believe our prayer and penance at this time will be a pleasing offering to God in thanksgiving for the light of the Gospel and in reparation for sins against the dignity of human life,” he said. In keeping with His Excellency's request, the Blessed Sacrament will be exposed for private prayer and adoration on Monday evening from 5:00 p.m. until 10:00 p.m. The rosary will be prayed at 5:15 p.m. and Benediction of the Blessed Sacrament will conclude the evening of prayer at 9:45 p.m. It will come as no surprise to anyone that I am no support of Senator Obama. I find it curious to ask those who support him why they do so. Inevitably, they tout the "hope and change" he will bring if elected. But when pressed as to what hope he brings or what changes he will bring - Illinois certainly hasn't seen any - his supporters are left without an answer. The closest answer given me thus far is that he will end the war of Iraq. It's possible, perhaps, though highly unlikely. He may well withdraw U.S. forces from Iraq, but the hostility, violence and bloodshed will remain. Who can say if it will decrease or increase. We simply do not - and cannot - know the future. Even if violence in Iraq would decrease, the number of deaths throughout the entire duration of the war comes nowhere near the number of unborn babies killed in the U.S. alone each year (this is the most common argument I hear in support of Senator Obama; morals aside, taken logically, it simply doesn't add up). What we do know is what Senator Obama has promised to do if elected: sign the so-called Freedom of Choice Act. No good will come of this. The other day I received a request for help from one of our former exchange students from Germany. She is conducted a poll of sorts for one of her classes. She asked how people from Illinois would be voting in the election given that Senator Obama represents Illinois. I offered my take on things for her, largely as I outlined it above, though without reference to the war in Iraq. It is a big issue here also, most Europeans though favor Obama, but I think it is the same problem - many of us do not know what he is going to change and what he stands for. It is said ad nauseam that we now have the most educated society the world has ever seen. If this is indeed the case, how is it that so many people - both here and abroad - can support a man with religious fervor without knowing for what he stands? After addressing purgatory in The Breviloquium, Saint Bonaventure addresses the second of the antecedents to the Last Judgment, "the suffrages of the Church." benefit the dead; that is, those offered specifically for the dead, such as Masses, fastings, alms, and other forms of prayer and penance performed for the purpose of facilitating and hastening the expiation of their sins. These suffrages do not benefit all of the dead, he is clear to remind us. They do not benefit the Saints - those in heaven - because we count upon and beg their prayers for us, and they cannot benefit the souls in hell - those who are "entirely evil." Our suffrages benefit those souls in purgatory, those who are "imperfectly good." Being of practical minds, we might wonder how much our suffrages benefit those imperfectly good souls. Naturally, Bonaventure anticipates this question. The level of benefit, he says, "depends both upon the degree of merit of the dead and upon the charity of the living, who may apply them to some souls in preference to others, either to alleviate pain or to hasten relief, as divine providence sees fit for each soul's good." We would do well to recover the practice of offering our prayers, sufferings and sacrifices for the souls in purgatory, asking God to more swiftly cleanse them that might, as Bonaventure says, "fly out at once and [be] introduced into the glory of paradise." Therefore, while the just in whom there remains some guilt of sin must be cleansed by the pain of purgatory after this life because of the severity of justice, they must also be lifted up and given assistance and comfort because of the sweetness of mercy; all the more so as they are in a state of pain and can no longer help themselves through good works and merits. Hence it was befitting for divine providence to dispose that suffrages be offered for them by those who could still do so; without, however, impairing the rectitude of justice, from which even the sweetness of divine mercy may not and cannot derogate or separate itself in any way. Here, Bonaventure brilliantly balances, as it were, the divine justice and the divine mercy. The Seraphic Doctor notes that rightness of God's justice "respects the honor of God, the government of the universe, and the fact of individual merit." Why must these aspects of God's justice be preserved? First, he says, the honor of God must be respected and honored, which "requires the performance of works of reparation and penance to atone to Him for sins; therefore," he says, "suffrages are to be offered through such acts as best render satisfaction and repay honor to God." Such acts include fasting, prayer, the giving of alms, and the Holy Mass, "which is the best way of rendering due honor to God." On a curious note, following Pope Saint Gregory, Saint Bonaventure makes these words of Saint Augustine his own: "the pomp of funeral processions, a costly tomb, solemn burial rites, are rather a solace for the living than a help to the dead." As such, these, says Bonaventure, do not count as suffrages. Returning, then, to the divine justice, Bonaventure uses the analogy of the body to discuss the preservation of the order of the universe. Our suffrages cannot benefit those in hell because "these are completely separated from the mystical body of Christ." Consequently, "no spiritual effect can reach them, or be of any use to them, any more than the head can have an effect upon members severed from the body." Likewise, our suffrages cannot benefit the souls in heaven because they "are at the summit and therefore cannot possibly rise any higher." It is, rather, the prayers of the Saints that are beneficial to us. by the fact of suffering without being able to help themselves, they are inferior to the living; but in terms of justice, they are linked to the other members of the Church, so that the merits of the Church may rightly be applied to them. Lastly, the justice of God requires that the consideration of individual merit. "Therefore," teaches Saint Bonaventure, "such suffrages as are offered for the dead in general, although they are effectivefor all good souls, each in his own measure, convey a greater effect in regard to those who during their life more richly deserved to be affected and assisted by them." This is not to say that our suffrages do not benefit those who are less worthy of them, but they will rather need more suffrages offered on their behalf. For this reason, we would do well to strive to live as holy a life as possibly while we still may. Tomorrow we will consider the consuming fire. I've had a few visitors to the blog recently searching for homilies for All Saints Day. If you have another resource that should be added here, please pass it along. After discussing the Last Judgment, Saint Bonaventure proceeds to discuss two "antecedents" to the judgment, Purgatory and the suffrage of the Church. Today we will consider Bonaventure's teachings on Purgatory. The fire of purgatory is a real fire, which, however, affects the spirit of the just who, in their lifetime, did not sufficiently atone and make reparations for their sins. If affects their spirit in greater or lesser degree, according as they took with them from their earthly life more or less of what must be burned away. totally ourselves and thus totally of God. In this way the inter-relation between justice and grace also becomes clear: the way we live our lives is not immaterial, but our defilement does not stain us for ever if we have at least continued to reach out towards Christ, towards truth and towards love. Indeed, it has already been burned away through Christ's Passion. At the moment of judgement we experience and we absorb the overwhelming power of his love over all the evil in the world and in ourselves. The pain of love becomes our salvation and our joy (Spe salvi, 47). Returning to Saint Bonaventure, he teaches that those in purgatory suffer more than they did on earth, though less than those in hell, the souls in purgatory are not affliced "so as to be deprived of hope." Through the fire of purgatory, "the souls are cleansed of the guilt and dross of sin, and also of its sequels. When they are wholly cleansed, they fly out at once and are introduced into the glory of paradise. supremely loves good and abhors evil: for, as supreme goodness suffers no good to remain unrewarded, so also it cannot suffer any evil to remain unpunished. But some of the just die before having completed their penance on earth; and their right to life eternal cannot remain unsatisfied nor their guilt of sin unreproved, lest the beauty of universal order be disturbed. Therefore those must be rewarded in the end, but they must also bear a temporal penalty that fits their guilt and sin. In his typical, orderly fashion, Bonaventure notes that sin does three things: first, it offends the majesty of God, which deserves punishment; second, it harms the Church, which harm must be repaired; and, third, it "distorts the divine image stamped on the soul," which must be purified. Keeping all of this in mind, he says the "penalty must be justly punitive, duly reparative, and properly cleansing." The fire of purgatory must be justly punitive because, as he says, "the soul that spurns the eternal and supreme Good and bows to the lowest good must rightfully be subjected to things of lower order, so as to receive punishment from that which had been the occasion of its sin and the reason why it had spurned God and defiled itself." In considering this Bonaventure offers us this spiritual gem: "The more deeply a man has loved the things of the world in the inner core of his heart, the harder it will be for him to be cleansed." Considering the reparative quality of the fire of purgatory, Bonaventure teaches that "those who are being cleansed possess grace which now they cannot lose, they neither can nor will be completely immersed in sorrow, or fall into despair, or be moved to blaspheme. Hence, severe as their punishment might be, it is far other and far milder than damnation; and they know without the possibility of doubting that their state is not the same as the state of those who are tortured irremediably in hell." As to the cleansing quality of the fire, Bonaventure says that he believes the fire, by "the very power of the grace within, assisted by the pain from without, effectively cleanses the soul which is thereby punished for its offense and relieved of the burden of its guilt, so that there remains nothing unfit for glory." The fire of purgatory, then, is a most beneficial pain, a blessed pain as Pope Benedict says. But let us return to what Bonaventure said before. He said that when a soul is wholly cleansed that if "flies" out of purgatory straight to heaven. Implied in this verb is an immediate swiftness; there is no delay. Once the purification is complete, the soul immediately enters heaven. Why? The Seraphic Doctor says that such souls "must take flight, for there is within them a fire of lov that lifts them up, and no impurity of the soul or any guilt to hold them down. Nor would it befit God's mercy of His justice further to delay glory now that He finds the vessel to be suitable; great would be the pain if the reward were delayed, nor should a cleansed spirit be punished any longer." You may or may not be beware that on this date in the year of our Lord 1529, His Majesty King Henry VIII appointed Sir Thomas More Lord Chancellor of England. This honored appointment would, in the end, cost the Lord Chancellor his head but also gain him eternal glory. The Servant of God Pope John Paul II, motu proprio, declared Saint Thomas More Patron of Statesmen and Politicians. Beginning today, I will pray the Litany of Saint Thomas More each day until the election, imploring the Lord for virtuous public servants. Won't you join me? In The Breviloquium, the Seraphic Doctor, Saint Bonaventure treats the subjects of the Trinity, creation, sin, the Incarnation, grace and the Holy Spirit, the sacraments and the last judgment. As we approach the Commemoration of the Faithful Departed (All Souls Day) I thought it might be helpful to examine Saint Bonaventure’s teachings on Purgatory. He breaks down the final book of The Breviloquium on the last judgment into seven brief chapters: on the judgment in general; on the pains of purgatory; on the suffrages of the Church; on the consuming fire; on the resurrection of the dead; on the pains of hell, and on the glory of Paradise. Presuming all goes as planned, we will take a look at one chapter each day through Sunday. At this judgment, says Bonaventure, many books will be opened. The Apostle John sees these books being opened, which Bonaventure says are the consciences of each person (cf. Revelation 20:12). These books will reveal “the merits and demerits of every man both to himself and to all others.” Here we recall the words of Jesus, “For nothing is hidden that shall not be made manifest, nor anything secret that shall not be known and come to light” (Luke 8:17). The second book to be opened is the Book of Life (cf. Revelation 20:12). The Seraphic Doctor teaches that the Book of Life is the Divine Word, Jesus Christ, “whom the good alone shall see in His divinity, while both good and wicked shall see Him in His humanity, in which form also He shall pronounce His judgment.” We shall see shortly why the wicked shall not see the divinity of Christ. We must now consider why the last judgment is necessary and cannot be doubted. The loftiness of God’s power requires not only that there be irrational creatures, but also, says Bonaventure, rational creatures that image God and are not simply traces of God. These rational creatures made in the divine image move not simply by instinct but also by free will (cf. Genesis 1:27). Because human beings are made in the image of God they are “capable of possessing God and hence [are] called to the beatific vision.” The beatific vision is nothing less than the vision of God himself. Each of us is invited to live according to the rightness of truth, to live and act justly. Not only does Christ invite us to live in the truth, he teaches us to do so, and having been taught to live in accordance with the truth we are obliged to do so (cf. John 14:6). Even so, we are not forced to live in the truth; we are free to forsake it or follow it. Therefore, in order to manifest the loftiness of power, the rectitude of truth, and the plentitude of goodness, there must necessarily follow a universal judgment brining about a just distribution of rewards, an open declaration of merits, and an irrevocable passing of sentences; so that the supreme goodness may appear in the distribution of rewards to the just, the rectitude of the truth, in the open declaration of merits, and the loftiness of might and power in the irrevocable passing of sentences. “Every son of Adam,” says Bonaventure, “is in the one state or the other [either wickedness or righteousness]: therefore all must be judged by a judgment of retribution, so that the just may be glorified and the sinners punished.” In other words, we’ll get what’s coming to us. Yet we also know that for a judgment to be irrevocable, to be final, the judge must be both seen and heard, and that this judge must be beyond appeal, having supreme authority. Therefore it follows necessarily that our Judge, in order to judge with supreme authority, must be God; and, in order to be seen and to convict the sinners while having human form, must be man. And since it is one voice of judgment that shall terrify the guilty and reassure the innocent, it is one form of the Judge that shall gladden the just and fill the sinners with dread. Isn’t this fascinating? Tomorrow, the pains of Purgatory. After spending a hilarious evening Friday with very dear friends whom I get to see far too seldom I returned to Effingham earlier than planned last evening. Some of the members of the former Tuesday Night Supper Club gathered for pizza and a game of Apples to Apples. I never laugh as much as when I am with this group. I’m very grateful that we were able to get together with a only a few hours notice. There were many good pairings in the game, but my favorite by far was began with the adjective, “Stunning: astonishing, staggering, astounding.” Since it was my turn I chose the best answer: the electric chair. There were other witty and sarcastic – and a few obvious and boring – pairings, but I cannot recall them now. I met my brother for lunch at the Maid Rite (a necessary stop on any return to Quincy) during which time my hip began to swell considerably and rather quickly, followed soon after by my knee. I knew something was up with the weather. After consulting a number of forecasts I made the difficult decision to return to Effingham twenty-four hours earlier than planned. In doing so I knew that the four hour drive Saturday might not be the easiest drive, but that it would be less painful and less difficult than the drive on Sunday. Leaving early meant that I would not be able to visit my grandma, aunt and uncle; I would not be able to visit the graves of my parents; and I would not be able to buy give or ten pounds of sour balls. It turns out I made the right decision. By the time I reached Barry, Illinois – some thirty minutes east of Quincy – the swelling was gone, as was the pain. I successfully drove ahead of a front, which has now caught up with me today. My hips and knees are swelling now, but I am hopeful the weather will change during the night while I’m sleeping. Returning early afforded me the opportunity to visit briefly with two of our Diocesan seminarians who are studying at Conception Seminary College. One of them is my Pastor’s nephew and the other graduated from our high school last year. Please keep them in your prayers. They’ll be back at Thanksgiving, but I’ll be in back in Quincy then. I hope to work more today on my future podcast, which I am now hoping to begin on All Saints Day. I need your help with creating a script for the introduction and conclusion to each podcast. What should the two pieces say? Certainly the intro should say something like, "You're listening to Fr. Daren Zehnle, the Servant and Steward," but that's both a bit obvious and a bit boring. The conclusion should direct listeners to the blog and my web site. But what else? Due to a happy set of unexpected circumstances, I am soon to leave for a weekend in Quincy, without any duties or responsibilities of any kind. I was to cover for a priest in Paris, Illinois this weekend but as it turns out he is unable to get away this weekend. As our very generous retired priest was already on schedule to cover our mission parish for me - which he enjoys doing - I've decided to take the weekend off. I've arrived to have dinner with some dear friends this evening and a game of Apples to Apples. If you haven't played it yet, you really should. Tomorrow I will bounce around visiting my family. On my way back to Effingham I'll stop in Springfield and have lunch with friends from college. Despite cloudy and chilly driving weather, it promises to be a most enjoyable and relaxing weekend. Posting may or may not be light this weekend and a homily will not be posted because I won't be preaching anywhere. Fr. Selvester at Shouts in the Piazza answers the oft asked question, "What is a monsignor?" Tomorrow I'm going to two classes at the high school - geography or history; I'm not quite sure which - to talk about the city of Rome. Rome of course is one of my favorite places in the world, right after Hawaii and Assisi. I've been to Rome on four different occassions for a combined time of roughly two months. There's always something more to see in the Eternal City. To get ready for tomorrow's presentations I'm been sifting through my digital collection of pictures to determine which ones to use. There are too many! How can I speak of the glories and wonders of Rome - from the founding of the city to the present day - in less than fifty minutes? I'm currently involved in an argument with one of my high school students. He claims that Walker, Texas Ranger is one of the best television shows. I don't agree at all. As we argued about this in the lobby, I asked four other teachers, none of whom saw more than one or two episodes, seemingly supporting me. One of our parishioners asked me about a book published by Ignatius Press: The Signs of the Times by Richard Gilsdorf. I've not seen the book. If anyone has read the book, could you please leave your thoughts on it? Given that it's published by IP, but I also don't know if it's one for "your average parishioner." I don't doubt the quality of the work. In particular, is it an easy read? An interesting read? We’ll be meeting each day M-F at 5:00 p.m. ~ St. Anthony Padua Church ~ Rosary for the election of a leader to end abortion and to Respect Life ~ Everyday up to and including Election Day, Nov. 4th, 2008 ~ All Area Catholics are invited for this short, simple time of prayer ~ please help in getting out the word! Remember...5:00 PM Rosary (5 Decades) ~ St. Anthony's Church ~ Everyday M-F (up to & including Nov. 4th!) ~ 15-20 minutes of prayer for a pro-life leader for this country to help end abortion and appoint pro-life judges. This is an open invitation to all AREA Catholics (and Christians if they wish to join us) to join together in the prayer of the Rosary. This will be a very simple, short and solemn time... just a simple Rosary to be prayed for God to send us someone to be elected as president who will promote a 'Culture of Life'.On Saturdays and Sundays, participants are encouraged to pray during the 5:00 hour at home. The Roman Catholic Church isn't WalMart or Burger King; it's the Body of Christ. 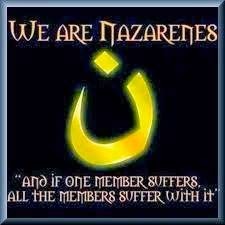 Catholic priests, nuns, sisters/brothers and laity aren't employees; we are members of the Body of Christ. The doctrine and dogma of the Catholic Church are not consumer products that the Church's employees sell to those who want them; Catholic doctrine and dogma express the unchanging truth of the faith. Life in a Catholic parish is not a trip to Disney Land or Target or McDonald's where your consumer needs and whims are catered to by the whimpering clergy and lay staff; parish life is the life of Christ for the local Catholic family. You do not come into the Catholic Church b/c you like the building better than you like the Methodist chapel; or because the priest at the Catholic parish is cuter than the Baptist preacher; or because you heard that the homilies are shorter at St. Bubba's by the Lake than they are at the Unitarian Church. You come into the Catholic Church because you believe that the Catholic faith is the truth of the gospel taught by Christ himself and given to his apostles. Leaving the Catholic Church because a priest was mean to you, or because sister whacked you with a ruler, or because the church secretary looked at you funny is as stupid as giving up on the truths of math because you hate your high school algebra teacher. Why would anyone let a crazy priest or a cranky nun or anyone else for the matter drive you out of the faith you believe is true? My only conclusion: you never thought it was true to begin with; or, you have a favorite sin the Church teaches against and crazy priests and cranky nuns is as good an excuse as any to leave and pursue your sin all the while feeling justified b/c Father and/or Sister are such jerks. Anyone who comes in the Catholic Church thinking that they will find clouds of angels at Mass dressed as parishioners; hordes of perfect saints kneeling for communion; seminaries packed with angelic young men burning to be priests; a parish hall stacked to the ceiling with morally pure people eager to serve; and a priest without flaw or blemish, well, you're cracked and you probably need to go back and try again. Telling Catholics that they aren't perfect makes as much sense as telling fish they're wet. We know already. Move on. Of the hundreds of priests and religious I know, I know two who could count as saints right now. The rest of us are deeply flawed, impure, struggling creatures who know all too well that we fail utterly to meet the basic standards of holiness. For that matter: so do you. Get in line. The Catholic Church owes no one a revision of her doctrine or dogma. She didn't change to save most of Europe from becoming Protestant, why would you imagine that she would change just to get you in one of her parishes? If you want to become Catholic, do it. But do it because you think the Church teaches the true faith. If a cranky priest on a blogsite is enough to keep you from embracing the truth of the faith, then two things are painfully clear: 1) you do not believe the Church teaches the faith; 2) and you care more about expresssing your hurt consumer feelings than you do for your immortal soul. Number eight is my favorite. Isn't it curious how several things often unexpectedly come together? This morning I saw a news report about an Anglican thoelogian, the Rev. Andrew Atherstone, who claims, according to the headline, that the wearing of robes is absurd and that ecclesiastical vesture belong to a "bygone world." Atherstone says, "Robes can be a barrier to mission, a hindrance rather than a help." I couldn't disagree with him more. Granted, Atherstone is an Anglican, but there seem to be a few Catholics - albeit they a shrinking number - who would suggest the same, at least terms of clerical attire outside of the Liturgy. Thinking back to the conversations had last evening at the volleyball game with the high school students, what I was wearing? A cassock. And a cape (at least at first). They were disappointed that I didn't have my saturno with me. Atherstone asks, "Let members ask themselves whether there are not occasions...when they have been embarrassed by, or found evangelism hindered by, the clergyman up front in robes, looking a right wally?" Perhaps there are such occassions. But there are surely similar occassions when parishioners are "embarrassed" by clergy not dressed as clergy. From my own experiences, Atherstone's argument is quite false. Are there those who would prefer I not wear a cassock. Of course there are. But there seem to be many more who are glad I wear it, so I shall keep it wearing it. Besides, it's much more comfortable than a suit. I also found this morning Fr. Longenecker's post regarding a new book he is writing. The new book, The Romance of Religion, will be about "the ridiculous-ness of religion, the absurdity of the quest and the glorious and valiant tilting at windmills which we call Catholicism." I'm intrigued. Despite the lack of interest in my scribblings, I am writing this book as an act of noble, and faintly ridiculous badinage with badness. It is my joust with the jesters of the world, my own quixotic attempt to be Quixote. I don't expect it to be a best seller. I don't expect it to change much at all. Like the dog who barks at the train, I bark not because I expect the train to stop, but because I am a dog. I am inspired in this effort by all those priests who proudly wear ridiculous clothes like cassocks and capes. Are they not the last vestigial vestments of the romantic heroes of old? I write as a salute to monks in cowls and Cardinals in Cappa Magnas, a pope who wears (like Dorothy) ruby slippers that might just carry him home. I write to honor clergy in lace cottas and Monsignors who hold their heads high as they wear sashes of scarlet and birettas with purple pompons. I write to honor the Knights of Columbus with their capes, their swords and their pomade hats. I salute all those who, like the mouse Reepicheep, fight the giants of the day, or like the boy David, slay the Philistines. The book will be about just that--the need to fight the good fight and be a romantic warrior in a world of useful things. It will encourage us all to find the key to the costume cupboard, dust off that cape, shine the broadsword, don the rubber nose and false moustache and the broad brimmed hat, replace the white plume and be a liturgical Lancelot or a ceremonial Cyrano de Bergerac. Yes, let us all be fools for Christ. Somehow it attracts people. In my last post on fielding questions from sophomore and junior boys while attempting to watch a volleygame, I wondered why the boys so freely barraged me with questions of all sorts, and why they do so so often. As for the boys, it's simple. They ask. You answer. No hiding, no punches pulled. The one thing kids want the most these days is veritas. They see everyone dancing around answers all day and can see right through it. Kids these days have rediscovered the transcendentals so casually discarded over the past couple of generations - the true, the good and the beautiful. It's only when we're unwilling to give them these that they go looking elsewhere. [T]each the faith of the Church in its integrity, with courage and the conviction of those who live by it and for it, never ceasing to proclaim the moral values of the Catholic Doctrine explicity, which refer to the family, sexuality and life, that are sometimes the subject of debate in the political and cultural context and in the means of social communication. Well said, Peter, well said. I've tried a few approaches already to help them understanding the teachings of the Church on this, but none have yet fully "sunk in." I think, though, that a foundation has been laid. Your prayers in this regard would be most welcome. I may hate meetings more than anyone I know. Consequently, I am always looking for a reason - good or not - to avoid a meeting. It is not the idea of discussing things that I dislike so much. It isn't talking with people that I dislike. It isn't spending a long time with people that I dislike. It's simply the idea of a meeting. I would much rather share information and thoughts through memos and letters. If something needs to be clarified then we can get people together to talk it through, briefly. But a meeting? Ugh. Meetings almost always last far too long. I'm of the mind that no meeting should ever last more than an hour. Does anything ever really get accomplished at a meeting? I'm all for sitting around and chatting away for hours once the meeting is over. Back in Quincy I'm even famous for standing around in parking lots talking with people after meetings for a good two hours or more. I like to visit with friends. I hate meetings. A meeting of the Board of Education was held this evening. These meetings are notoriously long, boring and long. They start at 6:30 p.m. and last at least until 8:30 p.m., and often enough even until 9:00 p.m. or later. Did I mention how long they are? Also tonight the girls' volleyball team played at home, beginning with a JV game at 6:15 p.m. and a varsity game after that. It was also senior night. So I thought to myself, wouldn't it be good if I went to the volleyball game and supported the girls? Of course it would. After asking the Pastor and the business manager, and after checking with the president of the Board of Education, I happily went to the volleyball games. It's good to be the Parochial Vicar and not fit into the organizational and decision making structure. After taking up my usual post near the entrance to the gym some of the students asked me to join them in the "Dawg Pound," the student "cheering" section of the bleachers. Our students aren't usually the loudest or most excited fans; tonight proved no exception. I found myself holding court, as it were - which I don't usually mind - fielding questions from sophomore and junior boys from all sides, all of which somehow or other related to faith, mostly to morals. As much as I tried to get them to start watching the game they kept asking questions, poking me repeatedly in the shoulder and asking the questions repeatedly until I gave in and answered, all through the varsity game. After the games - and after fielding a few more questions, and shoving one of the boys off on his mom who wanted to leave - I went down to the Board of Education meeting (it was downstairs in the library). That lasted another thirty minutes. I'm not really sure why the boys always have questions for me, or why they ask them so freely. I guess I'm doing something right. Whatever it is, I hope I keep it up. It seems many priests and ministers are unaware of what they may legitimately do without jeopardizing the status of their churches as 501(c)3 under the current tax code. A friend recently sent me a link to a piece on the web site of Priests for Life by attorney James Bopp, Jr.
1. A pastor may individually and personally endorse candidates for political office, but a pastor may not endorse candidates on behalf of his church. 2. A pastor’s personal endorsement may be made from the pulpit if it is clear that it is his personal view and not that of the church itself. 3. A pastor may allow his name to be used as a supporter of a candidate in the candidate’s political advertisements. In this connection, the pastor may be identified as pastor of a particular church. 4. While a church may not establish a political action committee, pastors and other like-minded individuals may establish a political action committee, but care should be taken that the committee is separate from the church and no use is made of church assets or facilities except to the extent that church facilities are allowed to be used by other outside groups. I was unaware that pastors could endorse a candidate by name - or even a party - from the pulpit. This is good information to know. Even so, I'll not be endorsing anyone by name, but I will continue to teach what the Church holds true. The lights in the church are still not working. The necessary part has been ordered and should arrive in Effingham tomorrow morning. Consequently, I celebrated the 6:30 a.m. Mass today by the light of six candles on the altar. It gave a new meaning to "the people who walked in darkness have seen a great light." We have enough light from the bell tower and the exit signs to see by and the candles shed enough light for me to read the prayers. We gave a flashlight to the reader. Though it was strange preaching to people that I really couldn't see, I rather enjoyed celebrating Mass by the light of candles. Yesterday afternoon, as part of the Sesquicentennial celebrations for the parish - the Adult Choir was honored and thanked with a reception after the 9:15 a.m. Mass. If you can imagine, one of the choristers has been singing in the choir for sixty-one years! The reception fare consisted largely of donuts, prompting once again the age-old question: why are glazed donut holes so much better than glazed donuts? This morning after I turned on the lights in the church I was talking with Fr. Schmidt, a retired priest who concelebrates the early morning Mass on Sundays, when the lights in the church went out. Without explanation and all at once. And seven minutes before Mass began. We still had lights in the sacristy and in the bell tower, but not in the church proper. The microphones were on and the air conditioner still blew, though we don't hardly need it today when the temperature is in the upper thirties (I'm not ready for winter!). So, we concelebrated Mass in a darkened church, gradually becoming more illuminated as the sun continued to rise in the sky. It was great! Now, mind you, Mass started at 7:30 a.m., so there was already enough light to see well enough. I've always hated perfectly lit and blindingly bright churches. I much prefer a darker church. What do you think? Do you prefer a darker church or a well-lit church? Many people today approach Jesus in the same manner as the Pharisees. They say to the Lord, “Teacher, we know that you are a truthful man and that you teach the way of God in accordance with the truth” (Matthew 22:16). Though they speak these words with their lips, they do not hold them in their hearts. Are not many of this same ilk today? How many today, claiming to be faithful disciples, approach the Lord and his Church saying, “We know you speak the truth, but…” Such people do not actually acknowledge the fundamental truth of Jesus’ teachings and of the teachings of the Church. If we consider the words of Jesus, “repay to Caesar what belongs to Caesar and to God what belongs to God,” we see that faith requires something of us (Matthew 22:21). That coin produced by the Pharisees belongs to Caesar because his image is imprinted upon it. Where is the image of God to be found? It is found in every human life. “God created man in his image, in the divine image he created him; male and female he created them” (Genesis 1:27). Every human life – from the moment of conception to the moment of natural death – belongs to God and not to Caesar. Yet there are some who refuse to acknowledge this and claim the “right” to take another’s life. There are even some Catholics who claim it is morally permissible to support and to vote for such a candidate. My dear friends, nothing could be further from the truth! From the very beginning of the Church down to the present day, the Church has always condemned the evil act of abortion as a grave offense against the fifth commandment: “You shall not kill” (Exodus 20:31; Deuteronomy 5:17). This teaching has never changed; it has never wavered; it remains firm. We know that of all of the choices we make in life, not every decision is of equal importance or of equal consequence. Whether I have cereal or fruit for breakfast is not as important as whether or not I am faithful to my spouse. Clearly, marital fidelity comes first, for the good of the spouses; for the good of the children; for the good of the Church; indeed, even for the good of the world. We also know that “there are some things we must never do, as individuals or as a society, because they are always incompatible with love of God and neighbor.” Such actions are intrinsically evil and must “always be rejected and opposed and must never be supported or condoned.” Such actions can never be condoned by society because they – in and of themselves – are evil, wrong and immoral, always and everywhere. When it comes to the voting booth it is the same: some issues carry greater weight than others and some can never be performed. As Catholics, we must bring our faith to the voting booth and we must vote in accord with the faith of Jesus Christ. Consequently, it is not possible – nor has it even been - for a Catholic to support abortion, euthanasia or other things that are contrary to life and the divine will. “To vote for a candidate who supports the intrinsic evil of abortion or ‘abortion rights’ when there is a morally acceptable alternative would be to cooperate in the evil – and, [is,] therefore, morally impermissible.” To support such policies places one outside the Church, outside of the communion of the teaching of Jesus Christ. Some will undoubtedly say, “Father, you’re crossing the line of separation of Church and State,” but such is not the case. What we are discussing is not a matter of Church and State but of faith and politics. Faith requires something of us. It requires that we love both God and neighbor and that every decision we make, every word we speak and action we perform, be in keeping with the love of God and of neighbor, even in the voting booth. Faith can never be laid aside. At the recent World Youth Day 2008, the Holy Father told us, “Life is not governed by chance; it is not random. Your very existence has been willed by God, blessed and given a purpose.” If my life is willed, blessed and purposed, so is every other life. It is precisely because we are creatures made in the image of God that we cannot claim a right to end the life of any man, woman or child. We are not the Creator. We know that “today there are countless people who are waiting for the proclamation of the Gospel, those who are thirsting for hope and love.” Some of these people are not yet born and some of them are here among us today. We must bring the light of the Gospel, the message of hope, to them! “Humanity needs to be liberated and redeemed.” There is only one Liberator and Redeemer: Jesus Christ, and his Gospel is life! Let us then proclaim his Gospel to the ends of the earth both by our words and by our actions. If we allow the Gospel of Jesus Christ to shape and inform every decision we make then the light of his love will shine through our lives and we will bring his hope and love to a darkened world. Let each of us, then, abandon ourselves to God and render to him what is his. Amen. United States Conference of Catholic Bishops, Forming Consciences for Faithful Citizenship: A Call to Political Responsibility from the Catholic Bishops of the United States, 22. 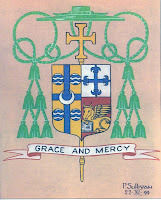 Letter of Bishops Kevin Farrell and Kevin Vann, 8 October 2008, 4. USCCB, Forming Consciences for Faithful Citizenship., 22. Pope John Paul II, Evangelium Vitae, 101. Letter of Bishops Kevin Farrell and Kevin Vann, 8 October 2008, 5. Pope Benedict XVI, Address at Welcoming Ceremony, 17 July 2008. Ibid., Homily, 24 April 2005. Pope Benedict XVI, Message for World Mission Sunday 2008. The Catholic Times reports that the extraordinary form of the Mass will come to Quincy with the arrival of Fr. Arnaud Devillers, FSSP at St. Rose of Lima church. Fr. Toborowsky, at Young Fogeys, has a great post on St. Ignatius of Antioch with a brief summary of each of his seven letters. If you haven't read his letters yet you really should. Can anyone answer me this question I have had for a very long time: why can one 501(c)3 non-profit organization endorse a presidential candidate and not fear action from the Internal Revenue Service but another 501(c)3 non-profit organization cannot endorse a presidential candidate for fear of action from the Internal Revenue Service? What do I mean? Certain organizations - such as Planned Parenthood - can publicly endorse a candidate who seeks election as President of the United States of America without fear of losing their tax exempt status. Why is it that churches are threatened with the revocation of their tax exempt status if they endorse a candidate seeking election to the Oval Office? I am seeking a real, legitimate and logical answer to this question. Is it simply because churches would wield tremendous authority and power if pastors and ministers endorsed a candidate? If it is, how is this different from groups like Planned Parenthood? In asking this question I do not mean to imply that one candidate supports everything I like, but one candidate clearly fits the bill, as it were, than another. Please keep the restoration project in your prayers, that the workers will be kept safe and that their work moves swiftly along. I've been noticing a large number of people finding my blog looking for a homily for the celebration of the World Mission Sunday 2008 to be celebrated this Sunday. The Gospel is from Matthew where Jesus says to render to Caesar what is Caesar's and to God what is God's. I'll offer a brief outline of what I intend to say this weekend. The coin in the passage is Caesar's because it has his image on it. The image of God is found in humanity (where are created in his image) and thus all human life belongs to God. This will lead into a bit on the upcoming elections. The right to life belongs not to Caesar but to God and thus must be protected and defended above all else. Nothing trumps the right to life because life belongs to God, not man. From here I will speak of the missionary activity of the Church. Because all life belongs to God we have a solemn duty to spread his Gospel so that all people might know him to whom they belong. The message of the Gospel must be spread both at home and away. There are many places that still need to hear the Gospel for the first time, and there are others who need to hear it again. By voting for life not only will we help to defend the innocent and vulnerable, but we will also participate in the spread of the Gospel. Can anyone help me understand why a space is not appearing between paragraphs when I type a post directly in the "compose" mode in Blogger? By now I should know to be choose wisely which I will read after saying my Office and going to sleep. I like to read in bed before sleeping and tonight - though I'm rather tired and have to rise early in the morning - I picked up a book that I knew would be gripping. Considering it now as I know I need to sleep but want keep reading, I'm reminded of what a couple of students asked me yesterday in class. One asked, "How do you know so much?" I answered, "I read." Another student asked a few minutes later, "Do you ever run out of things to talk about?" "No," I answered. "I read." What would life be without books? Yesterday after classes at the high school I went to Springfield to attend the visitation of Fr. Robert Franzen, a retired priest of our Diocese who died on Saturday. I went last night because I wasn't able to attend the funeral this morning. About a third of the way to the See City I wished I hadn't set out, but I knew I had to keep going. I found myself driving through downpours of rain most of the way and my joints began to swell. Driving in rain has never been good for my arthritis, and when the temperature suddenly plummeted twelve degrees in about ten minutes, I knew I was done for; my energy seemed to "bottom out." I arrived in Springfield in time to have dinner with the Vocations Director and the Bishop and was very glad I still had my coat in my car from a soccer game a few days ago. It was about fifty-two degrees, but I was freezing. Leaving the Cathedral Rectory I said to Fr. House, "It feels like snow." And I meant it. Before I left the Cathedral I was shown the interior to the Cathedral which is currently being restored. The pews have been completely removed to be refinished and without them the basillica form of the Cathedral is most apparent. It seemed so open and much larger, reminding of the basilicas of Rome. I almost wish we'd keep it that way. After praying at the visitation and talking with a couple of other priests, I made my way back to Effingham, arriving about 9:30. I walked into the rectory and, upon reaching the bottom of the stairs, said aloud, "I don't want to do this." I made my way up the stairs with my knees feeling every step of the way. This morning, after a good night's sleep and a long one, I still was nearly exhausted and my knees remained weak. I gave the students a quite day to ask questions and work on review questions, in part because of my lack of energy. I've just returned from RCIA after teaching about the Blessed Trinity. They said it went well. And now I'm worn out. It's going to be a very long winter. And it's only autumn. You've probably already about this excellent document, but in case you haven't, the Most Reverend Kevin Farrell, Bishop of Dallas, and the Most Reverend Kevin Vann, Bishop of Fort Worth, have issued a joint statement concerning the governing principles of a Catholic vote. The American Papist has, by far, the best commentary on the document I've seen thus far. Go read his summary and then read the statement. Bishop Vann is a son of the Diocese of Springfield in Illinois. Keep it up, Bishop Vann! Teaching four classes at the high school each day as I am - with working with the soccer team to boot - I've been a bit behind lately, especially concerning e-mail. One of the things I missed as a result was a Zenit article the recent suggestion made in the Synod of Bishops to the Holy Father that he start a daily blog of reflections on Scripture. Thankfully, I did caught the story via the Curt Jester, who has a few suggestions for the name of the proposed blog. I prefare Pontifex Blogimus or Supreme Blogger of the Universal Church, though the latter might be a bit too long. I don't expect Pope Benedict will create a blog, but if he does it will be the first stop on the Internet I make each day. This evening I received the happy news from the Quincy Early Music Consort granting me permission to use their music in my podcast. 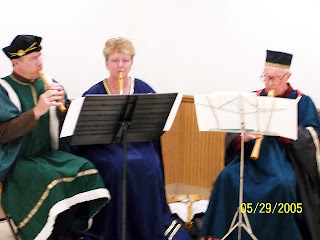 The Quincy Early Music Consort is a small group of musicians who play early and medieval music on replica instruments. I greatly enjoy their music. When plans were being made for my ordination to the priesthood I asked the Consort to play during the dinner at the reception following my Solemn Mass of Thanksgiving at my home parish. They accepted, and I was delighted. I expected them to play for an hour or so, but they ended up playing for twice as long as our agreed upon time, and without additional fees (I did pay them extra in gratitude). They provided noble and quiet music in the background throughout the dinner and people were able both to enjoy the music and to carry on their conversations at one and the same time. This is an aspect sadly lost at receptions today; the music tends to either be too loud or too soft. When the Consort finished playing at the reception and - without announcement or fanfare - quietly stood up to sneak away, my family and friends noticed and were apparently saddened. With no encouragement, those present rose and gave the Consort a standing ovation. I was again delighted. Quincy church to host "Womenpriests"